PASADENA –Majestic Mountain Loop was awarded the prestigious 2014 Poppy Award from Visit California for the “Best Regional Collaborative Marketing Campaign” on Thursday, Feb. 6. A collaborative partnership between the Visalia Convention and Visitors Bureau, Yosemite Sierra Visitors Bureau, Fresno Yosemite International Airport and Delaware North Parks and Resorts, Majestic Mountain Loop promotes visiting three National Parks; Sequoia, Kings Canyon and Yosemite National parks in three days. 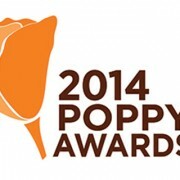 The Visit California Poppy Awards honors industry leaders for the best in California’s tourism marketing and promotion. Visit California received a record number of entries this year and views the number of submissions as an indication of the health of the industry. ‘The Loop’ introduces the Sequoia, Kings Canyon and Yosemite National parks to travelers who worried they did not have time to see all three or did not realize how accessible it is to see all three distinct parks. Having the Fresno Yosemite International Airport as a partner allows the Majestic Mountain Loop to gain exposure in markets that fly into FAT. With direct international flights with Aeromexico and a strong relationship with Alaska Airlines, Majestic Mountain Loop has gain exposure beyond locals wanting to take a car trip.